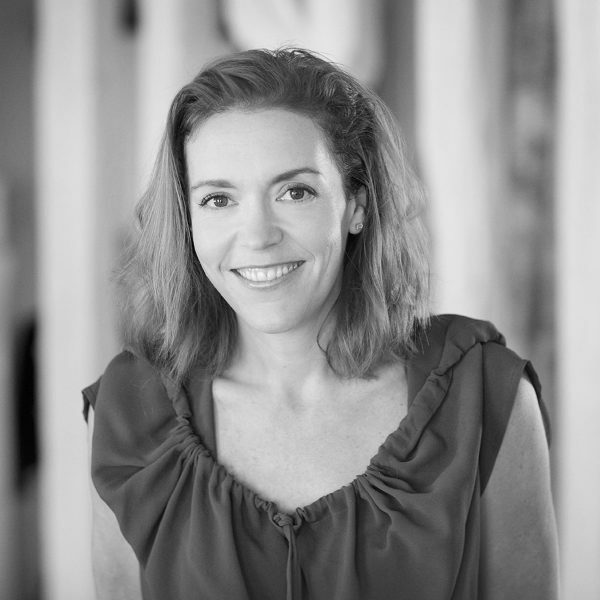 The founder and CEO of VINGT Paris, having relocated to the French capital 15 years ago, Susie’s knowledge of the city is unparalleled. In fact, she started VINGT Paris Magazine to share that knowledge with Paris visitors and locals. Managing a portfolio of properties all over Paris gives her the chance to see each neighbourhood from a local’s perspective, so she has difficulty choosing a favourite. Like a true Parisian, she also appreciates both the highs and lows: From the buzz of the Marais on a Friday night and the hustle of the Saint-Ouen flea markets to the formal beauty of the Palais-Royale and a moonlit stroll along the Seine River, there’s a Parisian experience to suit every mood. Her constant energy is inspired by creativity, ideas and culture, one of the things that Paris has in abundance. Managing VINGT puts her into contact with many amazing people and places, and she appreciates the unique relationship she has with the city. With my job, everything is local, so it depends on where I am in the city! Le Meurice – downtown – or Le Mary Celeste. Nanashi for fresh healthy food, otherwise felafel or fresh oysters and seafood from the market. Listening to Cheri FM and their amazing selection of ’80s French pop. The best thing about your quartier? Being so close to two great markets – Marché d’Aligre and Bastille. Having moved to Paris in the summer of 2018, Claudia landed on her feet with an apartment close to the centre of the French capital, in the popular 2nd arrondissement. Surrounded by market streets, glamorous old covered passageways and edgy boutiques, she says she is loving life in her new home city. Having grown up in Wiltshire in the UK, where she attended the renowned girls’ school, St Mary’s Calne, she is now at university studying French and Business Management in Oxford. 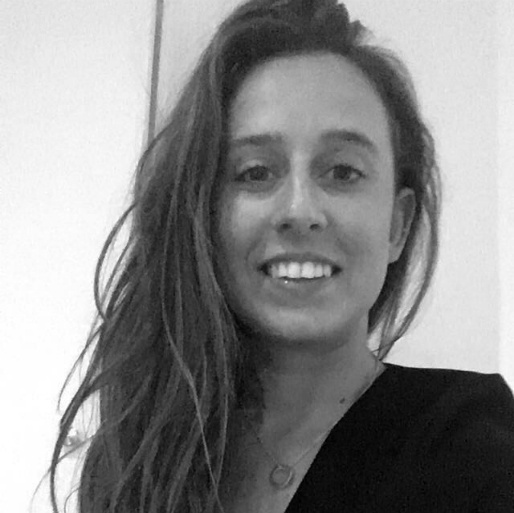 Currently on her placement year, Claudia works for VINGT Paris as a commercial assistant and has already made an enormous contribution to the team. Lockwood is one of the best hidden bars I’ve been to in Paris, tucked away on rue D’aboukir in the 2nd arrondissement. As a student in Paris, I love the street food vendors along rue Montorgueil, also in the 2nd. Pastries from the countless delicious boulangeries. The vast selection of cheese! Needless to say that listing them all would be a lengthy task. The 2nd is the city’s smallest arrondissement where the trendy Etienne Marcel and rue Montorgueil reside. Coiled deep inside the city’s shell of districts, these two bustling pockets of the 2nd are flushed with cafés and shopping. Also, within the 2nd, you’ve got everything on your doorstep that remains truly Parisian, as it boasts no major tourist attraction. With a passion for history and a desire to be based in a big city, Kristjan arrived in Paris after living in Scandinavia. Still discovering new ‘quartiers’, he particularly enjoys the Palais Royal for its intimate hidden corners and great restaurants and stores. 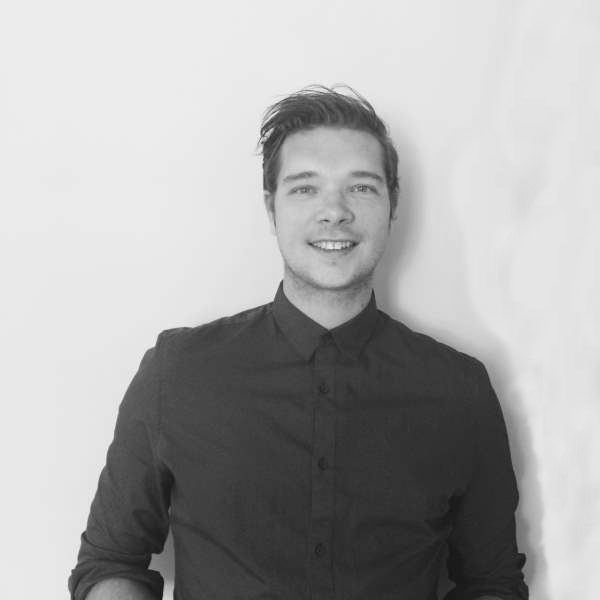 Having worked in sales and marketing in the fashion world, Kristjan is now part of VINGT’s sales team. He enjoys helping his clients to find their perfect Parisian home, working with them on unique projects, and is proud to play a part in making their dreams come true. La Perle Stolly’s in the Marais. I love the little parks in the Marais. My perfect summer weekend afternoon is with a good book and lunch from the Swedish Cultural Centre in Parc George Cain. Thibault grew up in Paris between the 1st and the Marais. 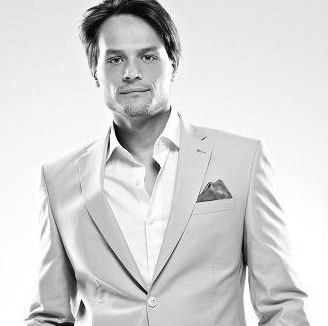 He started working at a radio station while completing his bachelor in advertising and marketing. With a strong interest in imagery and cinema, he went on to work for an advertising production agency. Here, Thibault worked as a line producer before moving to New Zealand for four years. After returning to Paris, he was introduced to the world of real estate. 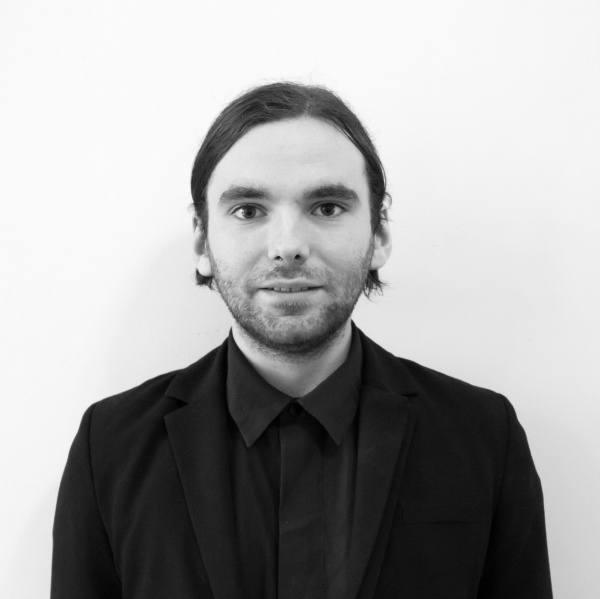 Thibault is now a strong asset to VINGT Paris with his pugnacity as well as his knowledge and expertise of the city. Le Comptoir Générale, at quai de Jemmapes in the 10th, for its eclectic, offbeat vibe. Au Vieux Comptoir in rue des Lavandières Sainte Opportune in the 1st – rightly voted one of the best bistros in Paris for 2017. A walk in the lovely surroundings of Parc de Saint Cloud. That would have to be plateau charcuterie and fromage. Best thing about your quartier? We have lots of parks – which is perfect for when the sun shines. One of the newer members of the team, Mitch Rose has a wealth of experience, having worked in the property industry for 20 years, and we are delighted to have him on board with us. He has extensive knowledge in the prestige market, working with international clients and corporate institutions. “Understanding the needs of clients is key, listening is my forté and the client is king!” says Mitch. I don’t go to bars, but I do go to a very nice brasserie on rue Rochechouart called Aimee et Odette, which has a nice terrace and you get a good cocktail. Babe on square Montholon in the 9th arrondissement. It’s buzzy and friendly, the owner is a lover of eclectic music, it has interesting décor and, located on the square, it gives a nice perspective onto 100-year-old trees. The famous chocolate shop, À la Mère de Famille, which dates back to 1761. I love their marron glacé! Bread – we have several great boulangeries in the quarter. The 9th arrondissement is very central and you can walk everywhere from where I live. It has also changed into a family-orientated neigbourhood with interesting streets – such as the rue des Martyrs. There, you will find a number of specialist food shops – from Italian macaroons to tea and even a shop that specialises just in jam! Born and raised in Bologna in Italy, Renato has been living in Paris for over 16 years, having previously lived in both London and New York. 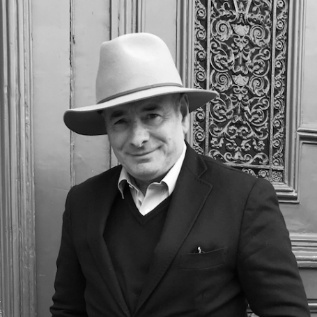 With a vast experience in the global art and real estate markets, he has cultivated over the years a passion for painting, architecture and history, and developed a certain sense of aesthetic "mission". An excellent communicator and naturally good-humoured, he has always appreciated the contact with clients interested in sharing with him projects, small or ambitious, and always tried to explore together the best way to achieve them. His knowledge of Parisian life, both historical and sociological, is a key factor in developing a deep understanding of the needs of each customer and often to creating a long-standing relationship. Everything that is facing the water. I am in love with the river Seine and consider it to be, by far, the most beautiful 'street' in Paris. Of course, they are a well-kept secret, but, to give a hint, my favourites are almost all situated on the Rive Gauche... I can however confess that the setting of LouLou's terrace in summer is simply breath-taking. In terms of restaurants, everything associated with the South West's cuisine du terroir and with the tasty and authentic Burgundian culinary tradition has always made my liver smile with guilt. As an Italian rather used to the diversified architectural beauty of my country since a very early age (and, for this reason, quite difficult to be impressed; what a presumption!) - I nonetheless cannot stop repeating that strolling on the banks of the Seine - whatever weather conditions - really defines my (tackily stereotyped) idea of Paris. But it is really undeniable that this magic river and its UNESCO-protected banks are something unique in the world. And it is not by accident that the Louvre, the Île Saint-Louis and the Sainte-Chapelle, along with the Musée d'Orsay and the Petit Palais, certainly my favourite historic landmarks in the Ville Lumière, are never very far from the placid waters of the river. Too many to be mentioned on a public platform. The quartiers change (unlike the individuals after a certain age) and the individuals often change quartier... What we liked in our quartiers in the past may not be what we mostly appreciate now. Having lived in several quartiers since 2002, why not come and discuss the where's, how's and why's with us on one of the many terraces of the many quartiers of this beautiful city? Born in Serbia, Aleksandar has travelled extensively since then – and, as such, he considers himself a ‘citizen of the world’. Originally graduating in Tourism, he spent five years working in real estate in Madrid as a customer service specialist. 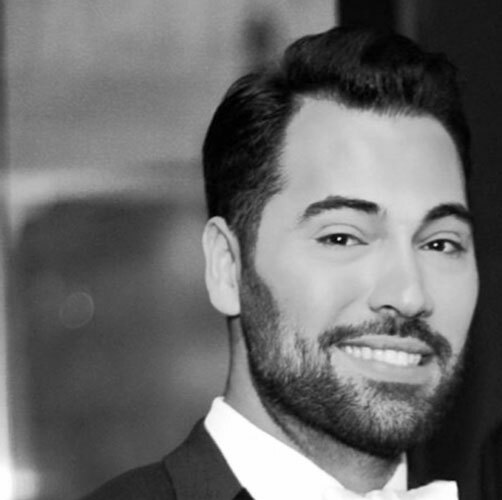 He moved to Paris in September 2018, as a client of VINGT Paris, subsequently joining the company in international relocation. Now happily settled in the Marais, he is married to a Spanish fashion photographer and they especially enjoy walking their dog along the Seine. I really like the appropriately-titled ‘La Favorite’, which is just steps away from my home. It got my attention because always when I pass, there are people laughing, there is great draft beer and a sunny terrace in the mornings. After living in various countries around South and East Asia, I fell in love with their food. So, I love to jump into all those small, random and unknown places along rue Montorgueil in the second arrondissement. I love the fresh morning croissants from the boulangerie in front of my apartment in rue du Vertbois, in the third arrrondissiment especially on a Sunday morning. I am a chocolate freak, so I like to walk down the rue de Bretagne, in the Haut Marais which is close to my home, and just check into all the patisseries, one by one. Le Marais is a perfect, very cosmopolitan and artistic neighborhood. Every day, I find some new cool shop, gallery or conceptual bar. Also, the Seine is close to my home, where I love to walk with my wife and dog. Pam arrived in Paris thanks to finding the “amour” of a Frenchman. Feeling at home in the 6th, where she first stayed, it continues to hold a special place in Pam’s list of Paris favourites. 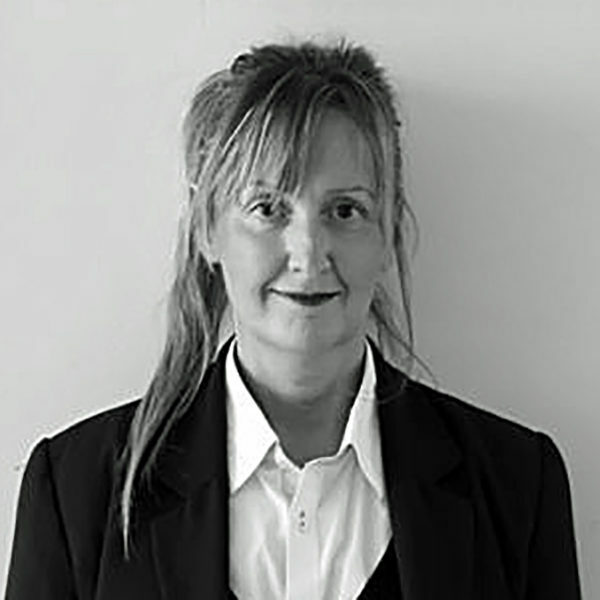 Having managed very large rental portfolios for 12 years, both in commercial leasing, holiday lets and residential rentals, Pam now works in VINGT’s asset management department. When not being kept busy with work, she is inspired by photography, art and architecture, exploring new countries and finding out the history of ‘that’ particular place. Bar La Vue at the Hyatt in Paris has the most amazing view. I go there at least three times a year for a little luxury indulgence and to take in the most incredible, breathtaking view of Paris. I love the Art Nouveau restaurants to take in the beautiful décor like Le Petit Zinc and Le Grand Cafe Capucines. I live south of Paris so I have the luxury of a front and backyard with terraces and gardens to grow fruits, vegetables and herbs. At VINGT Paris, Tatjana is the administrative manager, helping to keep everyone on track with the all-important French paperwork! 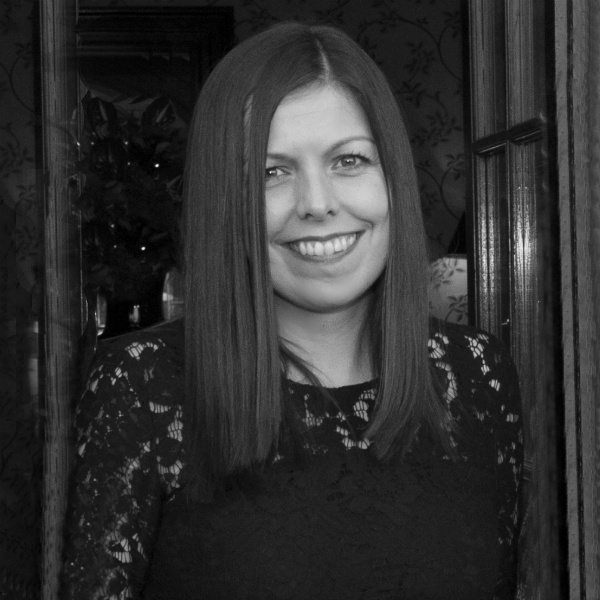 Previously, she has worked in accountancy and audit firms, and has over seven years of experience in organising administrative processes. So, rest assured, your paperwork is in safe hands. For quite some time, it has been Le Tournesol, in rue de la Gaité, because of its relaxed atmosphere, especially in summer. I can’t choose just one – and I still have so many to discover! French baguette, because I love good bread. Dark chocolate, because it makes me happy. It’s quite central – and I love the view of the Invalides. Originally from Sweden, Tove recently moved back to Paris after having spent several years in New York, where she studied at The Art Students League of New York, and time in London. 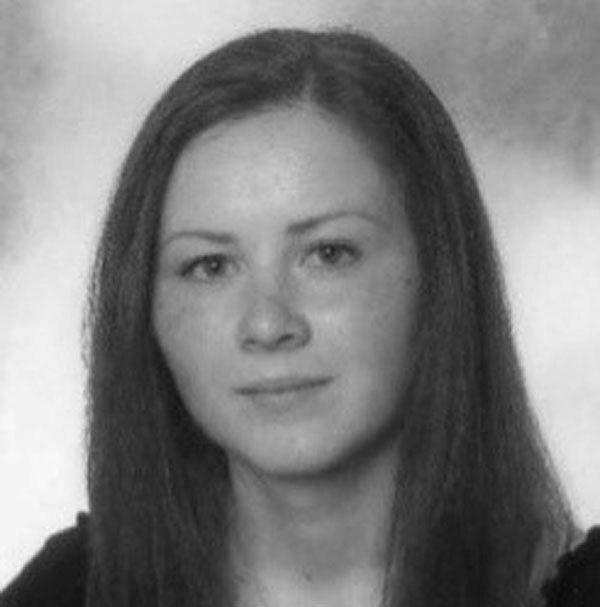 She brings with her many years experience working in art, design and decoration. Her role at VINGT Paris includes helping owners to redecorate and refurbish their apartments, doing the staging for photo shoots and creating design-led brochures. She lives in the 1st arrondissement not far from the VINGT Paris office. Au Caveau Montpensier – an American cocktail bar in front of the Palais-Royal. It has a cosmopolitan feel about it with people from all around the world. There are so many – but, to give just one example, I like Le Perchoir for its nice rooftop view and very good food. A picnic by the Canal Saint-Martin or Seine Pont Neuf. I like being close to the water as well as the lovely gardens of the Tuilerie park and the beautiful architecture of the Palais-Royal. 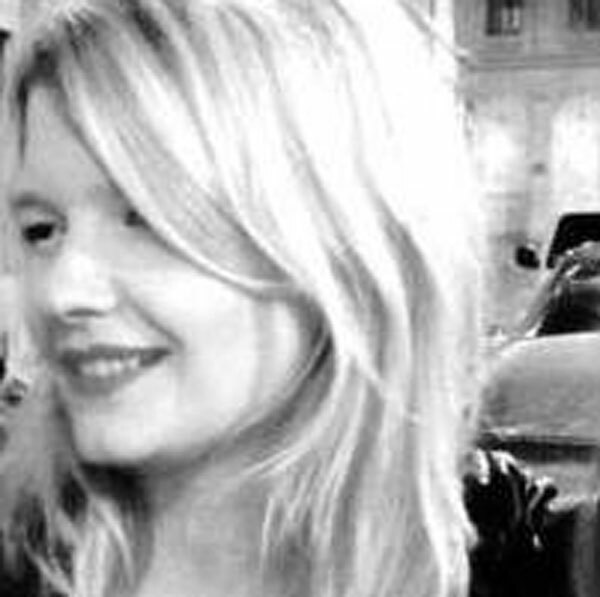 Magazine editor and PR contact at VINGT Paris, Caroline has lived between Paris and the UK for several years, first renting a small pied-à-terre on the edge of Montmartre and recently moving into an apartment in the 18th with her French partner. During that time, she has built up an extensive knowledge of the city and, as well as working for VINGT Paris, she has also written for The Guardian, FrenchEntrée and France Magazine, among others. Come the weekend, she loves to explore the city’s historic arcades with their beguiling mix of artisan shops; visit any of the amazing array of art galleries on offer; or grab a bite at one of the many new vegan restaurants springing up lately. As a bit of a rock music fan, I always enjoy a visit to La Cantada in the 11th or, just recently, Le Piano Vache in the 5th. In the 9th, where I’ve just moved from, there’s also a lovely little bar in rue Bochart de Saron called Artisan. So hard to pick just one! We love Café No Stress at Saint-Georges, for its laid-back, friendly vibe, but also Le Potager de Charlotte, just down the road, for its fantastic vegan cuisine, and Le Grenier de Notre-Dame, the city’s very first vegetarian and macrobiotic restaurant. That would have to be the incredible range of jams and chutneys at La Chambre aux Confitures in the rue des Martyrs. They do a special one at Christmas that is one of the best things I have ever tasted! Eating too many pastries and breads from our brilliant local bakery (their pain cacao is to die for!). Having just arrived in the 18th, I’d have to say Montmartre. Despite the tourists that flock to the Sacré-Cœur, the district still has a real magic to it, and you only have to head into the side streets to find that. An experienced IT consultant who lives in Liverpool, Kevin fondly recalls his days as a 14th arrondissement local. A self-confessed Francophile, Kevin’s favourite Parisian neighbourhood is the Latin Quarter for “the romance, history and creativity – and for the jazz haunts”. When he gets the chance to come back to the city, he indulges in popular local pursuits such as spending time on terrasses and people-watching. 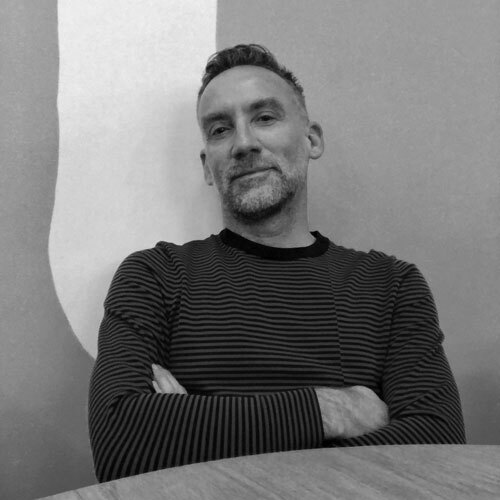 With over 20 years experience, Kevin has worked with large corporations to SMEs and is now getting more involved with social media marketing and business development. At VINGT Paris, he is the technical administrator for the website and also helps to manage much of the online marketing. When he’s not making sense of the digital world, Kevin finds inspiration with his family and friends, as well as with music and languages. Le Petit Journal Montparnasse, in 13 rue du Commandant Mouchotte, in the 14th. Millésimes 62, 13 place de Catalogne, in the 14th. La Coupole, 102 boulevard du Montparnasse, in the 14th. Walking to the Rosebud thinking I’m Jean Paul Sartre going to meet Simone de Beauvoir! The mix of modern and traditional. With 10 years of travelling, being a lawyer between Brazil and France, I have had the chance to appreciate the beauty of some of top cities around the world. Paris being my favorite for its beautiful Haussmanian style, and the Cote-d’Azure-Riviera where I like to spend the summer. Always passionate about the architecture of properties and districts with strong personalities, I have settled in the 2nd Arrondissement at the centre of true Parisian life. With the market in Montorgueil, close to cultural venues like Le Louvre, Palais-Royal and Opera, it suits me perfectly. Last but not least, meeting local French people as well as international characters from around the world, is what really creates this special vibe of Paris with a little je ne sais quoi! Trying every new cocktail bar in Paris before their official opening while they are still under creating their own house cocktail recipe. Visiting the art galleries in the 8th Arrondissement with a glass of Champagne. Being at the center of the "Paris de la Belle Epoque": Montorgueil – Palais Royal and Opera. 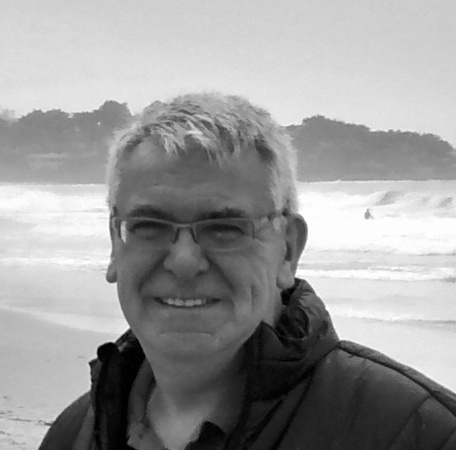 A PR professional by training, Rhodri has run his own successful communications agency for a quarter of a century. 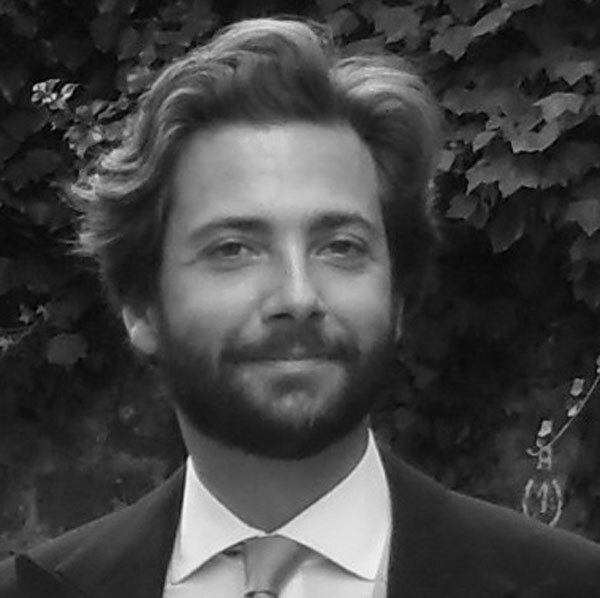 As well as being a Welsh speaker, he is a passionate Francophile having studied Economics at Toulouse University. Equally passionate about property, Rhodri has undertaken a number of renovation projects of historic properties in the UK. He is also well aware of the wonders of the Parisian property market having bought a cute studio in the buzzy 2nd arrondissement, which he renovated himself. In addition, he is a rentals expert as owner of www.stayanight.co.uk, which specialises in short-term rentals for groups. Also an LGBTQ advocate, Rhodri organised the first ever Pride event in his hometown of Llantwit Major in Wales. While technically not a bar in the strictest sense, I always head for Au Petit Fer a Cheval for a carafe of Bourgogne and a plate of cheese when I arrive in Paris. Located in the Marais, it has the olde world charm of a bygone age with its wonderful marble horseshoe-shaped bar and chandelier. Grab a stool and wallow in decades of history with each gulp of wine. Chez Janette on the Rue du Faubourg in the 10th is the hangout of all the fashionistas. A bit ragged around the edges, with funky 50s neon signs and tatty booths with the smallest kitchen imaginable, it still manages to attract the cool crowd and turn out some of the best bistro-style meals in Paris against a soundtrack of Serge Gainsbourg classics. No visit to Paris is complete as far as I'm concerned without a visit to the Pompidou Centre. There is always a fascinating exhibition running and I have had the fortune to see the David Hockney as well as the Cubism retrospectives recently. Okay, I love the art, but no visit there is complete without an alfresco lunch at Georges, the Centre’s top-floor restaurant. Not cheap, but what the heck when you’ve got models for waiters and the best view of the city. You must think all I do is eat, but when it comes to guilty pleasures I head for rue Saint Severin for a cheeky cheap-menu formule, but I’m very specific. If it hasn’t got snails in garlic, confit de canard and mousse au chocolat on the menu, I walk on by. Having previously lived on rue d’Aboukir for 10 years, I have a big soft spot for the 2nd, with particular reference to rue Montorgueil. In my view, it is the best street in Paris for strolling and people-watching, and it alone sold the apartment to me when I came to view. The area has changed dramatically over the years and is now a hotspot for the hipster generation, but still retains its edgy historic charm. Here is the highly experienced VINGT Paris property team. You can discover more about each team member here and their favourite Paris haunts. Find out more about joining VINGT Paris and our current vacancies.